Home > Blog > Quickest & Safest Way to Remove your Gel Nail Polish at Home!! Quickest & Safest Way to Remove your Gel Nail Polish at Home!! Nice nails ain’t cheap and cheap nails ain’t nice. The happiest women always have the nicest nails. We all like to have long polished nails, but the struggle to remove dark colored makes us lazy. Today’s video will make your Gel nails life easier. You don’t need to go to the nail bar to remove your gel manicure. Grab some acetone, cotton ball and aluminium foil, and a nail groomer. let your nails soak for ten to fifteen minutes to enjoy clean nails. Don’t forget to share this beauty trick with your friends. 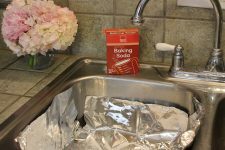 Aluminum foil & Baking Soda are the first thing to love in 2017!! 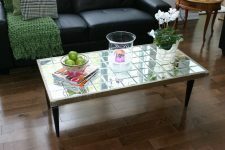 DIY: Make the Easiest Mirror Coffee table?